Meet the new breed of social media influencers, people who tweet or blog about products and services for a fee. Today, a tweet can fetch you Rs. 2,000. A blog, even more. Courtesy, a relatively young concept called influencer marketing that Indian brands are sinking their teeth into. Being an ‘influencer’ is not so different from being a regular blogger, tweeter, Instagrammer or Snapchatter. You do all the same things — with just an extra option of accepting requests from brands to write about their services and products. In turn, you bag vouchers or even cash. It’s quite a short bridge between being a blogger and an influencer. And, most are marching along with ease. So much so that, many are quitting their corporate jobs and taking up tweeting/blogging full time. Sarath Babu S. (followed by around 22,000 people) joined Twitter in 2009 mainly to participate in promotional contests organised by various brands. Over the years, he got opportunities “to meet Kolkata Knight Riders in 2011 (a contest by Uber), meet and play two overs with Virat Kohli in 2013 (a contest by Godrej), and, more recently, with Stan Wawrinka (a contest by Ola Cabs).” This is besides the 10 smartphones (including an iPhone for winning a contest by online grocery store Bharat Ration), free trips and stays at five-star hotels that he has enjoyed in the past few years. More recently, he got a dental clean-up from Apollo White Dental for free — in return for a blog about his experience and their services. Just a few perks of being an influencer. Meanwhile, the contests increased his followers, and slowly, he was being approached by agencies that connected him to various brands. The mere thrill of winning contests turned serious, and he gave up trying to build his career in the Civil Services. Now, he is a ‘super influencer’, which means brands call him to host contests, and also help with Twitter campaigns that announce the launch of their products. “It’s a job that sometimes requires me to tweet at 6 a.m., or at midnight. Around 100 tweets a day on an average, and during festivals, 300,” he says. The remuneration depends on the brands. “It can go from Rs. 25,000 to Rs. 60,000 at times; and for tweets — from Rs. 7 to Rs. 2,000,” he says. If you look at it, it is just like any other freelancing job. You start cultivating your following on popular networks such as Indiblogger, Blogadda and Blogmint, besides Twitter and Facebook, and you earn as much as a regular salary (Rs. 25,000 to Rs. 30,000 a month). “Typically, quality influencers charge between Rs. 500 and Rs. 25,000 an engagement. Twitter engagements are lower priced whereas content creation engagement (blog or video review creation) are higher priced. 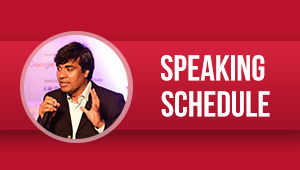 Larger platforms such as Little Black Book Delhi or POPxo can charge even higher than Rs. 25,000,” says Vikas Chawla, co-founder of Social Beat, which has around 6,000 influencers, and whose clients include Citibank and Murugappa Group, among others. Fromote, a relatively new influencer-marketing site, follows a business model that pays influencers based on their reach (there are popular tools such as Klout, Kred, BuzzSumo and Traackr that can put a number to your social media presence). “The pay depends on your followers, how active you are on social media sites, and the campaign budget. If the number of followers is high, you may get, on an average, $400 for a tweet,” says its founder, Sanjay Wandhe. With many influencers working for multiple clients at the same time, they earn more than what they used to in a regular job. 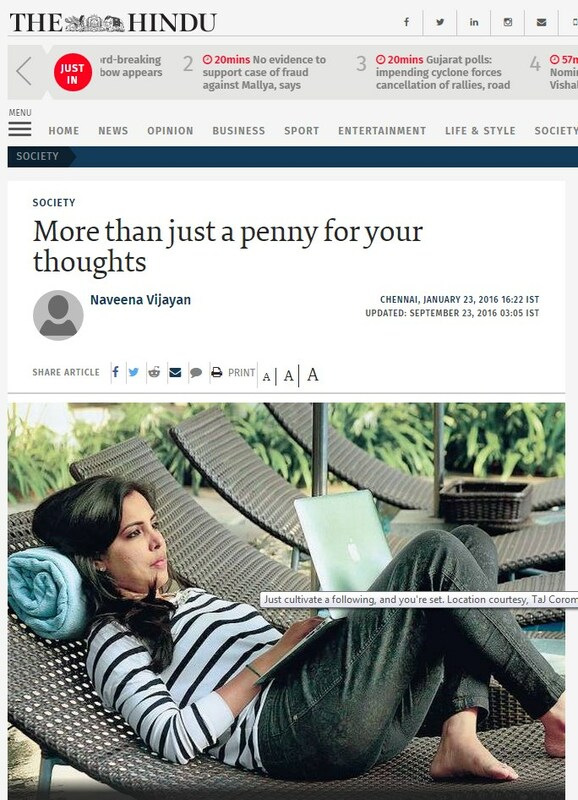 “However, if you start a blog thinking you will make money immediately, you are wrong,” warns Chennai-based Shrinidhi Hande, whose blog (since 2006) enidhi.net boasts 39,23,554 views. “Once you begin blogging, establish yourself and begin making some money. Then, you can assess if there is a scope for doing this full-time.” He has been on sponsored trips to Goa for an event organised by Indiblogger and Tata Motors (Dec 2015), to the Tata Nano factory in Sanand, Ahmedabad (in July 2015), a seven-day, 2000-km biking road trip with the Tourism Authority of Thailand in 2013, and is currently in Singapore on invitation from Changi Airport. All in return for a generous mention in his blog. With 75 per cent of marketers working with influencers (according to a study by Augure, a PR and influencer marketing software), the trend seems to be snuffing the life out of paid advertisements. “Many companies have their own influencer marketing department and a manager to head it these days,” says social media consultant, avid blogger and podcaster, Kiruba Shankar (followed by over 58,000 people on Twitter). “Everybody knows that ads are paid for, so they lose their credibility there. Consumers rely more on individual opinions. That is probably the reason why influencer marketing is such a hit. Now, with money in the equation, honesty might be in doubt. There are cases where people even buy followers. But the influencers are tweeting using their handle, so if they are going to spam, or give wrong reviews about services and products, it is their name that is at stake,” he adds. Fair and Lovely #ConfidenceAtWork campaign featured beauty bloggers.